This legal document template is for use where a tenant who assigns his lease to a third party is required by the landlord to guarantee that the assignee will perform the tenant’s obligations under the lease. The basic rule is that once a tenant transfers his lease he no longer has any obligation to the landlord. An Authorised Guarantee Agreement keeps the original tenant on the hook in case the assignee defaults. 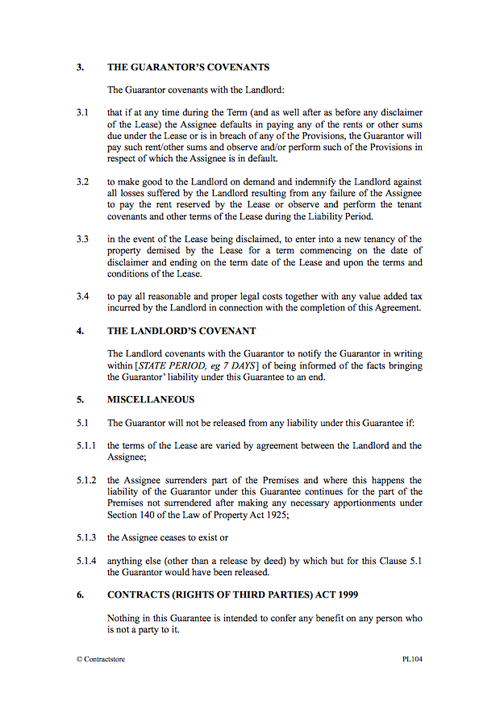 This document is designed for use as an authorised guarantee agreement by which an outgoing tenant of a “new lease” guarantees his immediate assignee under Section 16 of the Landlord and Tenant (Covenants) Act 1995 (“LCTA 1995”). 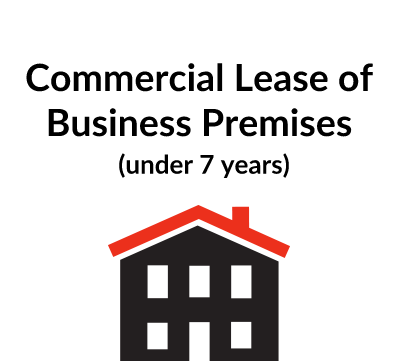 A “new lease” is a lease granted on or after 1 January 1996 (other than following an agreement entered into before that date or an order of a court made before that date). By way of background, the main purpose of the LTCA 1995 was to abolish privity of contract in leases and it is therefore in the area of tenant liability that the Act has the most significant impact. The basic rule is that a tenant under a “new lease” is only liable for breaches of covenant committed while the lease is vested in him. Therefore, on an assignment of the lease, the assignor is automatically released from all the tenant covenants of the lease. This means that, while the outgoing tenant can be sued for breaches of covenant committed at a time when the lease was vested in him, he cannot be sued for any subsequent breaches. The basic rule applies equally to assignees. As from the date of assignment, an assignee becomes bound by the tenant covenants in the lease unless those covenants were expressed to be personal to the original tenant. 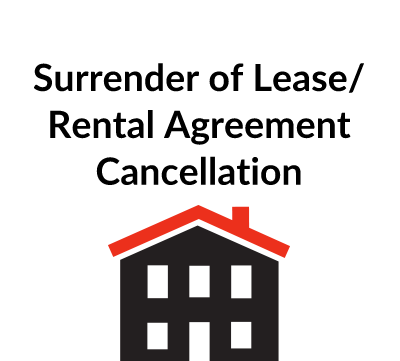 The assignor is therefore automatically released from all of the tenant covenants. To counterbalance the loss to the landlord of the benefits of the old privity regime, the LTCA 1995 allows the landlord to require an outgoing tenant, who will be released from liability under the Act, to enter into a form of guarantee whereby the outgoing tenant guarantees the performance of the tenant covenants by the incoming tenant. This Clause sets out the purpose of the agreement. The two basic obligations of the Guarantor are to pay the rent (and any other sums payable by the Assignee under the lease) and to remedy or to indemnify the Landlord against loss caused by any breaches of covenant committed by the Assignee. The Guarantor also covenants to enter into a new tenancy of the property in the event of the Lease being disclaimed. The Guarantor further covenants to pay the Landlord’s reasonable legal costs in connection with the completion of the Guarantee. 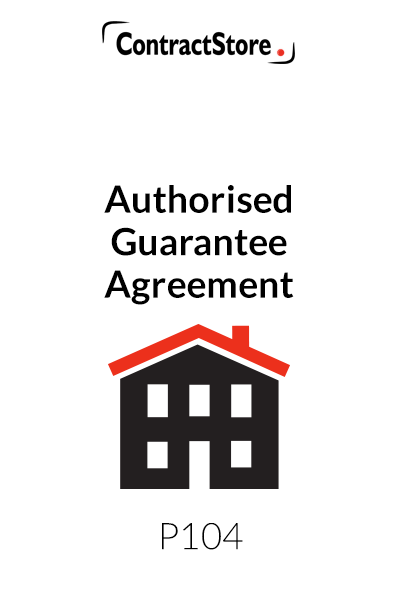 The Guarantor will wish to insert this Clause in an authorised guarantee agreement and especially where the Guarantor and Assignee have no other connection. In the absence of this Clause, the Guarantor will have to make enquiries to find out when his liability comes to an end. This Clause sets out that the Guarantor will not be released from liability under the agreement where the Lease is varied by agreement between the Landlord and the Assignee; where the Assignee surrenders part of the Premises; where the Assignee ceases to exist or in certain other circumstances. This Clause sets out that the provisions of the Contracts (Rights of Third Parties) Act 1999 will not apply to this Guarantee. The Act came into force on 11 May 2000 and applies to contracts entered into on or after that date. It allows the parties to a contract to confer rights on third parties. A third party, eg a mortgage lender, may enforce the contract as if he were a party to it provided that the contract expressly provides that he may or that it purports to confer a benefit on him. The third party must be expressly identified in the contract by name, as a member of a class or as answering to a particular description but need not be in existence when the contract is entered into.